Deposit bonus can only be credited to Ayrex Account holders. 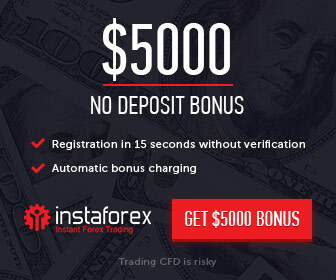 Deposit Bonus can be credited for a deposit that equals 100 EUR/USD or a larger amount. The bonus amount can be chosen by the client. Bonus amounts can be 10%, 20% or 30% from the amount of funds deposited. Bonus funds will be available for 90 days to fulfill the requirements. Bonus funds as well as the funds deposited by the client will not be available for withdrawal until the bonus requirements have been fulfilled or the bonus is cancelled either by the client or Advanced Binary Technologies Ltd. The client has the right to cancel Bonus at any time. Should this occur, bonus funds will be taken from the account as well as the profit that was made while trading with the bonus funds. The initial deposit amount will be available for both trading and withdrawal. Funds which were deposited without requesting bonus as well as all the profit made with them will remain free for withdrawal. After bonus funds are credited the total amount of funds on the client’s account such as client’s personal funds and bonus funds can be used for trading purposes without any limitation. When profit is made it is divided proportionally between the above-mentioned parts. If a client closes a deal out-of-the-money, the client’s funds and the profit made with it are the first to be deducted. Only when the client’s funds’ balance equals 0USD/EUR, the bonus funds and the profit made with it are deducted. Bonus funds, deposit and the profit become available for withdrawal only after the total volume of transactions exceeds the amount of the bonus funds in 40 times. All the information on clients’ performance will be available in “My Bonuses” section in the client’s personal account.